1. As many as three million Wisconsinites or more are expected to vote next Tuesday -- November 6th -- in the historic election for President, the U.S. Senate and House of Representatives, and for the Wisconsin Legislature. 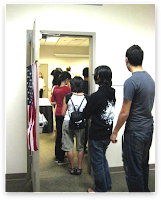 Passions and emotions about these elections may run high and so too may the temptation for some to harass, intimidate, or try to discourage some voters from participating in this most basic and sacred act of citizenship. Fortunately, there is a place voters can turn if they have any questions about voting or if they encounter any problems at the polls. Common Cause in Wisconsin is partnering with the nation’s largest nonpartisan Voter Protection coalition, led by the Lawyers’ Committee for Civil Rights Under Law, and we are here to help. Election Protection wants to ensure that voters are equipped with the information needed when they head to the polls, and we expect continued confusion over whether or not Wisconsin voters will be required to present government-issue photo identification. Although the requirement was signed into law last year, a Dane County Circuit Court judge ordered a permanent injunction on the law on March 6, 2012 which halted implementation of the ID requirement. Wisconsin voters WILL NOT be required to present photo ID in order to vote a regular ballot. If you arrive at the polls and are asked to show photo ID, you can call call1-866-OUR-VOTE. 2. Yesterday, five Wisconsin state legislators agreed to turn over any and all correspondence and documents related to the American Legislative Exchange Council (ALEC) and held on their personal email accounts. The action settles a lawsuit brought by the Center for Media and Democracy and Common Cause, and is a significant victory for the citizens of Wisconsin and their ability to inspect all public records, including the personal e-mail of legislators and staff with respect to public policy. The Wisconsin Attorney General’s office will conduct the agreed-upon document search. For more on this huge victory for transparency, go here. 3. On October 15th in Green Bay and then again, on October 22nd in La Crosse -- citizens, legislators, and reform activists (and opponents) gathered to learn about, discuss, debate and attempt to come to some consensus over what steps should be taken to clean up Wisconsin politics and bring back "good government" to our state, which was once the national model for honest, clean and accountable state government. No longer. But through the more than 30 "Reform Forums" Common Cause in Wisconsin has organized all over the state during the past several years, more and more Wisconsinites are demonstrating concern and then demanding real achieveable political reform of the corrupt status quo. In Green Bay, more than 125 citizens gathered to interact with panelists State Senator Dave Hansen (D-Green Bay), UW-Green Bay Professor Mike Kraft, CC/WI Board Member and Door County Broadcaster Roger Utnehmer and CC/WI Director Jay Heck. State Senator Rob Cowles and State Representatives Chad Weininger (R-Green Bay), John Klenke (R-Green Bay) and Jim Steineke (R-Kaukauna) were all invited to be panelists but declined. In La Crosse a week later, citizens and UW-La Crosse students interacted with panelists State Representatives Jill Billings (D-La Crosse) Steve Doyle (D-Onalaska, CC/WI Board Member and former Republican Sate Representative David Martin and Jay Heck. State Senator Jennifer Schilling (D-La Crosse), former State Senator Dan Kapanke (R-La Crosse), and State Representative Lee Nerison (R-Westby) were all invited to be panelists but declined. At both forums, a consensus developed about two effective political reforms, both with bipartisan support, that could be introduced, passed and signed into law in relatively short order in early 2013: redistricting reform and the disclosure of the donors of the many outside spending groups who are spending millions of dollars of special interest money for mainly negative TV and radio ads and who have managed to escape having to tell Wisconsin voters who provides the money for these obnoxious communications. Last year CC/WI took the major role in developing legislation that would reform the current partisan secretive redistricting process and in forcing disclosure of outside election-oriented communications. 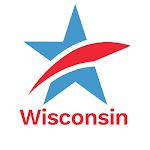 Both measures had bipartisan support and CC/WI was the only reform organization to actually develop and have introduced into the Wisconsin Legislature, political reform measures. Both are ready for introduction and action in early 2013. For a news account of the Green Bay forum, go here. 1. This evening, prior to the beginning of the last debate between President Barack Obama and challenger Mitt Romney, CC/WI will hold another "Reform Forum" at UW-La Crosse. Reform advocates and legislators will discuss what needs to be done to begin to clean up Wisconsin politics and make it worthy of our past reputation as the nation's "laboratory for democracy." For all the details, go here. Last week, at Green Bay's reform forum, more than 125 citizens and students took part in another very lively discussion and exchange that went into "overtime" because of continuing audience interest. You can view televised coverage of the UWGB event here. Over the last year, similar forums have been held in Milwaukee, Sheboygan, Oshkosh and Wausau. 2. This year's election to fill the seat of retiring U.S. Democratic Senator Herb Kohl is one of the most expensive in the nation and one of the most critical in determining which political party will control the United States Senate. Ruth Coniff's cover story in the November issue of The Progressive magazine explores the race between Democratic U.S. Representative Tammy Baldwin and former Wisconsin Republican Governor Tommy Thompson and features extensive commentary from CC/WI on what the race means and how much it is costing. 3. Likewise, there is an increasing amount of campaign cash being raised and spent in some of Wisconsin's elections for the U.S. House of Representatives this year. CC/WI estimates that the race in the 7th Congressional District between one-term incumbent, Sean Duffy, and his Democratic challenger, former State Senator Pat Kreitlow, will be the most costly in Wisconsin's history for a U.S. House seat. One of Wisconsin's top political writers and investigative reporters, Bill Lueders, looks at the money in Wisconsin Congressional elections here and here with commentary from CC/WI. Why is it so important that we talk about campaign finance, voter photo ID, redistricting and disclosure of money in politics right now? Because we are in the midst of the most expensive: 1) U.S. Presidential; 2) U.S. Senate; 3) Congressional; and 4) State Legislative Elections in the history of the United States and in Wisconsin. These contests, to be decided on the 6th of November, follow the most expensive (Wisconsin) recall elections in the history of the nation earlier this year and last year. All of these elections are also among the most secretive in history – with millions of dollars of special interest money being spent to influence voters without the voters having the slightest idea who was providing the huge sums of campaign cash. Over the last two years, Wisconsin – a state once known as the “laboratory of democracy” – has undergone tumultuous change in the way it conducts elections and considers public policy. As a result, the core political fabric of Wisconsin – once heralded as a national model – has been dramatically transformed. Tens of millions of dollars are being spent by outside interest groups on advertising leading up to this year's general election. But the citizens of Wisconsin are still in the dark about who is really behind much of this avalanche of “outside” campaign spending and the constant barrage of interest group “phony issue ads” we're seeing during this election season. Is this lack of disclosure a protection of "free speech" or is it a perversion of democracy? Do citizens have the right to know who is paying for these ads? In 2011, Wisconsin experienced the most secretive, partisan redistricting process the state has ever seen – resulting in dramatically less competitive voting districts. Should redistricting be taken out of the hands of partisan legislators and put into the hands of a non-partisan entity to draw congressional and legislative voting districts? And what about Wisconsin’s photo voter ID law – the most extreme and restrictive such measure enacted into law in the nation? It has been blocked by the courts and is not in effect for the upcoming November election. Is it needed? Is there really voter fraud or is this a voter suppression measure? Prior to 2011, public financing of statewide and legislative elections helped ensure that our legislators and our state’s highest court were beholden to the public rather than private interests with deep pockets. Yet last year, Governor Walker opted to gut the state’s public financing system, while at the same time, increasing the limit on individual campaign contributions to Supreme Court candidates from $1,000 to $10,000! With so much outside money flowing into Wisconsin's Supreme Court races, should we continue to elect or consider appointing our State Supreme Court Justices? And finally, the U.S. Supreme Court’s 2010 decision in Citizens United vs Federal Election Commission allows corporations, labor unions and other interest groups (and their "Super PACs") to use unlimited money from their general treasury coffers to flood our airwaves with negative messages, giving them far greater influence on the outcome of elections. How has the Citizens United decision affected Wisconsin and does it matter? Professor Jeremy Arney of UW-La Crosse will serve as Moderator. “Welcome” to the most expensive: 1) U.S. Presidential; 2) U.S. Senate; 3) Congressional; and 4) State Legislative Elections in the history of the United States and in Wisconsin. These contests, to be decided on the 6th of November, follow the most expensive (Wisconsin) recall elections in the history of the nation earlier this year and last year. All of these elections are also among the most secretive in history – with millions of dollars of special interest money being spent to influence voters without the voters having the slightest idea who was providing the huge sums of campaign cash. Professor Dave Helpap of UW-Green Bay will serve as Moderator. 1. This seemingly endless, demoralizing election season is now entering its final weeks, and none too soon. Most citizens have been disgusted by the most bitterly negative, expensive and least transparent election in national and state history. And nobody, aside from a few political consultants and a handful of masochistic political junkies who revel in all the mudslinging and character assassination, ever wants to experience the likes of an election season (which has lasted almost two full years in Wisconsin) ever again. So that begs the question: What ever happened to good government (and civil politics) in Wisconsin and how do we fix it? That's where you -- the citizens of Wisconsin -- come in. On Monday evening, October 15th, CC/WI has organized another in our long series of "reform forums" in Green Bay and then another, on October 22nd in La Crosse. At these forums we have a panel of speakers from both major political parties (and sometimes from "third" parties and independents) who offer their opinions about timely political reform issues (like campaign finance reform, redistricting reform, disclosure and photo voter identification) and then we open it up to you -- the audience -- to ask questions and suggest solutions. For details on the October 15th reform forum in Green Bay, go here. For details on the October 22nd reform forum in La Crosse, go here. In the past year we have held similar forums, with audiences as large as 200 in Wausau, Oshkosh, Sheboygan and Milwaukee. If you can, please join us in Green Bay or La Crosse and be heard! 2. Yesterday, national Common Cause joined The Center for Media and Democracy in filing a lawsuit against five Wisconsin legislators for violations of our state's Open Records laws with regard to inquiries about the legislators' involvement in the American Legislative Exchange Council (ALEC). The joint release from CMD and national Common Cause is here. Click to download the actual filed lawsuit and exhibits. For news accounts about this action, go here and here.